In spite of the ban for golf for being associated to British colonialism, golf in China is becoming immensely popular and is growing exponentially. China’s first golf course was built in 1984 and the country presently has only 600 courses – that’s 1.5M people per course (talk about a long round) – targeted mainly to the wealthy provinces such as Beijing, Jiangsu, Guangdong and Hainan. Hainan in particular has been exempted from the ban by the government and is seen as an international tourism hub. However, golf’s inclusion in the 2016 Olympics is expected to drive significant demand for more courses and greatly expand the game’s reach. 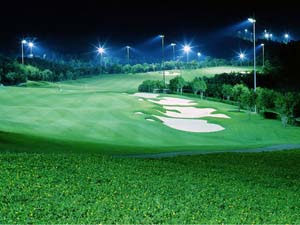 The biggest attraction in Chinese golf is the Mission Hills resort/Golf club. With twelve immaculately manicured courses and nearly 10,000 members, Mission Hills is dubbed the “World’s Largest Golf Club” by Guinness World Records. The twelve courses are designed by a number of famous pros including Jack Nicklaus, Greg Norman, Annika Sorenstam, Ernie Els, Jose Maria Olazabal, David Duval, Nick Faldo, Vijay Singh, Pete Dye, David Leadbetter, Jumbo Ozaki and China’s Zhang Lian-Wei. As golf becomes more popular in China, Mission Hills is the center of the action. The club has already brought the world cup to China, acting as the host for Asian Amateur Championship 2009. 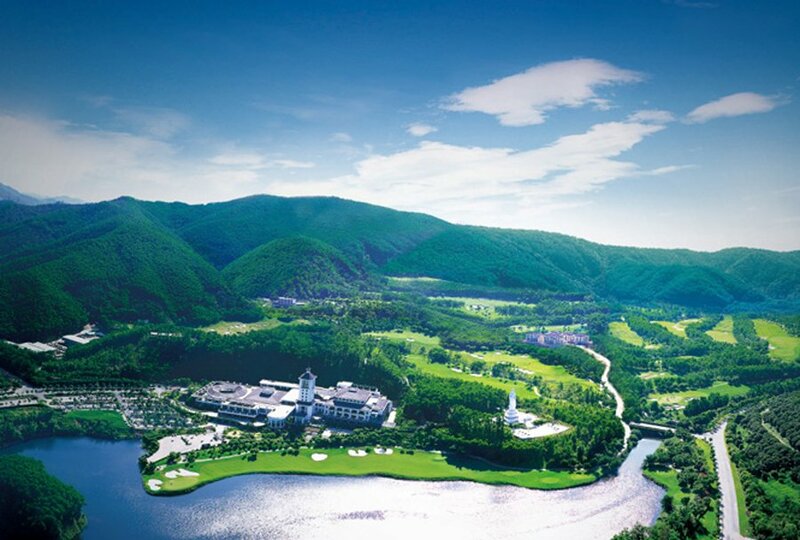 It also hosted the first European Evergreen PGA tour event, in collaboration with the European Seniors Tour and the China Golf Association, from March 11-13 this year, with total prize money of US$ 35 million. Playing a round at Mission Hills costs $148 US on a weekday and $200 on a weekend. The club’s features includes three world class spas, a 317 room 5-star hotel, golf academies from renowned instructors David Ledbetter and Cindy Reid, around 51 tennis courts, and of course the world’s largest club house. How many states have you played golf in? We’re glad to welcome a new guest blogger at the Scratch Pad! 72strokes.com is a golf blog run by Derek Franks, where he shares thoughts on golf happenings, equipment, and the tour. We’re glad to have him with us, and will be sharing some of his best posts with you. To date we’ve written a lot about golf around the world – what about right here at home? This past December, Michigan resident Ed Ronco completed the 50-state checklist by playing a round at the Royal Kaanapali in Maui. He came up with the idea 7 years ago after realizing that he had already played in 23 states. Through the use of creative routing of family vacations and several golf-specific trips, Ronco was able to bag every state. Alaska and Hawaii were two of the tougher states to cross of the list, mostly due to the travel/cost involved. We’ve received a lot of feedback from our members about adding in more content to help improve their games. We’ll be doing just that, starting with a series of posts that highlight the swings of great professional golfers. We’ll be starting out with a golfer who the London Times said “brought passion and risk to golf” and whom a fellow pga tour pro described as “playing golf shots I don’t even see in my dreams” – the late Seve Ballesteros. Seve joined the tour in 1974 at age 16, and won 91 tournaments (including 50 on the European Tour) over the next 33 years. He was known for his shot-making flair, with an expert sense of feel and extreme hand control that let him shape and finesse shots that amazed the crowd and his competitors. Luck, said some. Miraculous said others, as they sighed at his soft blasts out of bunkers on to the green, or the fluid grace of his swing. Commentators talked of natural genius, as though he was still a seven-year old whacking a pebble with a homemade club on a beach in Cambria. His impoverished family put it down to destino. Such talk annoyed him. It was all hard graft and iron discipline: hitting a ball, alone, for hours. It started in boyhood, putting into tomato cans on a bumpy two-hole piece of field on his parents’ farm, or driving into a fishing net hung in the barn. 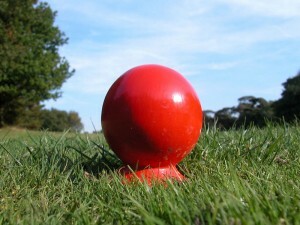 He reckoned he had hit 1,000 balls a day. Because he had only one club, a 3-iron, he learned how to do everything with it: low, powerful shots, high soft-landing shots and impossible recovery shots out of long, tangled grass. He could improvise his way out of anything.